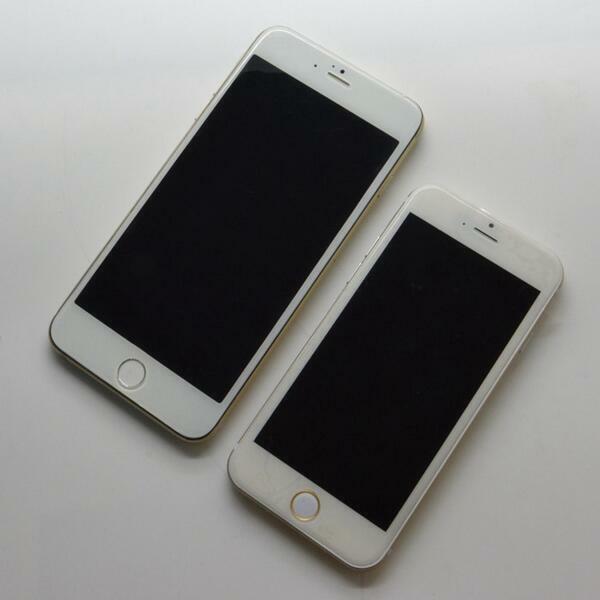 A couple of new model photos of the rumored iPhone 6 have been posted to Twitter by SonnyDickson. 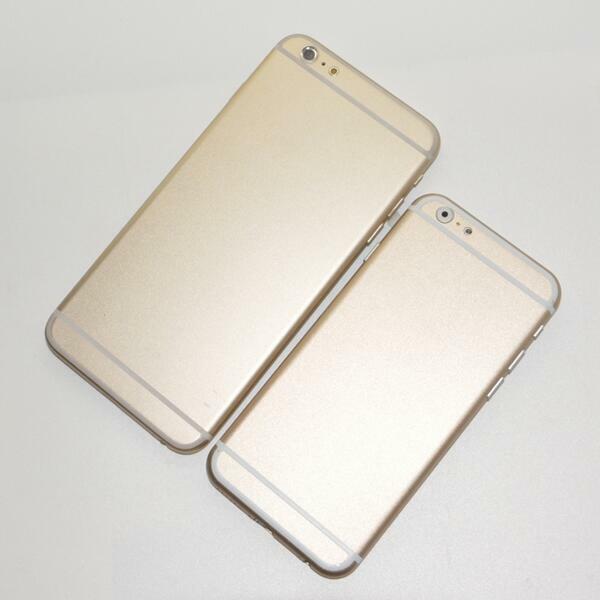 The new images depict the 4.7" and 5.5" iPhone 6 side by side -- both front and back. Photos of iPhone 6 dummy models have been floating around for months, making even more frequent appearances in recent weeks. I can't get over how ugly those breaks are ... like seriously. I've always loved all of the previous iPhone designs and never had a problems with the changes in iOS 7 but this looks so gross. I can't even. Obviously I'm still going to go out and buy it just cause it's an iPhone freakin 6 but still ... why you gotta make it not classy?? * Still not sold on the plastic antenna lines...must be a nicer way to integrate them! Seems like just another educated guess physical mock up...is there really anything to see here? Furthermore, these photos going around are of dummy models probably made in plastic. The final metal versions probably would have a more cleaner design. 4.7 inch has an ugly thick bezel. Not buying. I'm really saddened by how ugly this phone is. It's just a total mess aesthetically. You may be alone on that one. The 4.7 will be my first iPhone. Mac user for 13 years. Ugh those lines on the back are seriously ugly. Didn't like the 2 tone back on the 5 and 5s either. Looks like a case where tech is getting in the way of design. It's not a phone. It's a mock up of a phone. And it only shows how the phone may look like when it's released in fall. So keep calm and wait till you see how it actually looks like. I doubt Apple will make their phones actually look like that. I wonder how people always take design mock ups so seriously. Like it's going to be the final product.